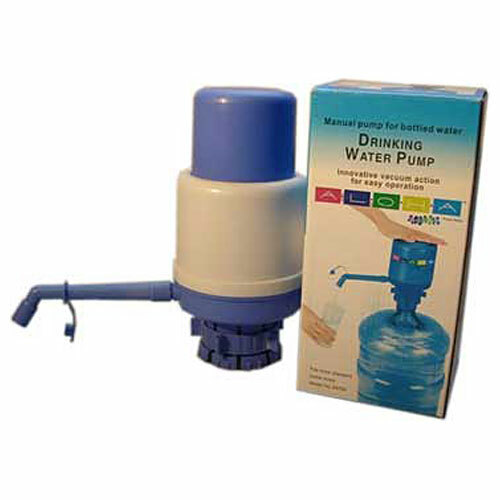 Manual pump for bottled water. Innovative vacuum action for easy operation. Fits most standard bottle sizes. Easy working-just press pump head. Economical-no battery costs no motor. Ideal for home, office, school, factory, and hospital.